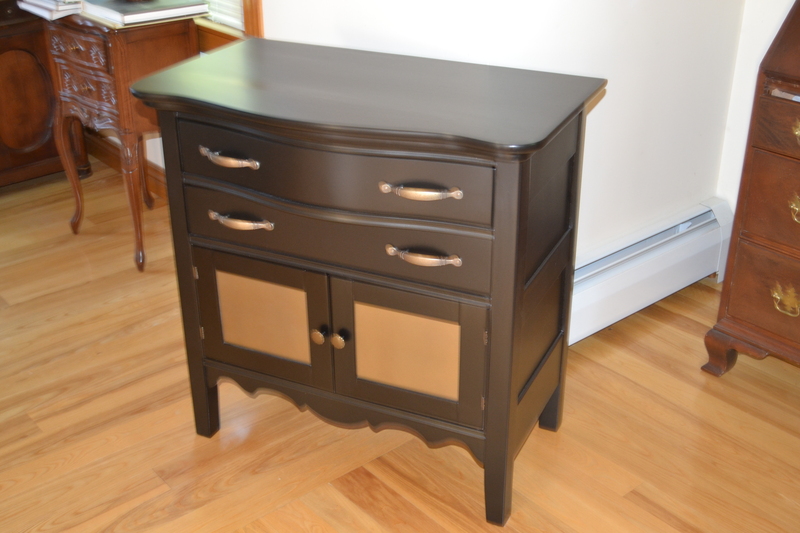 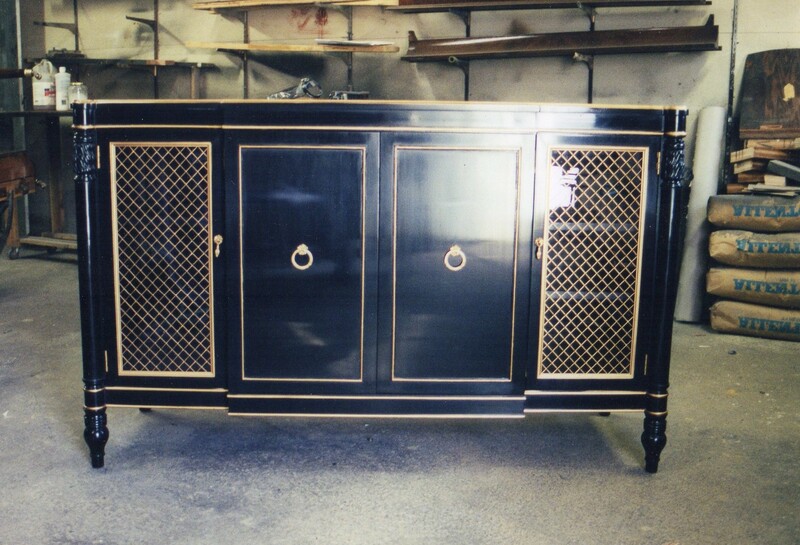 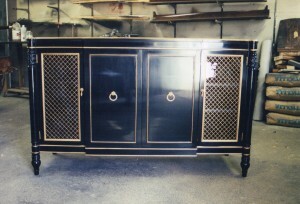 Sideboard refinished in gloss black lacquer, hand rubbed to medium gloss rub with bold trim. 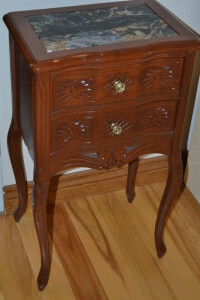 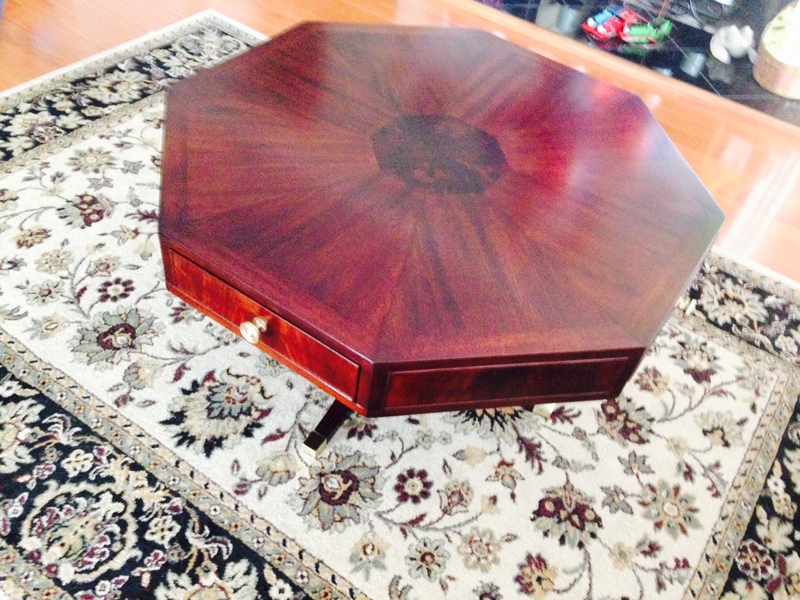 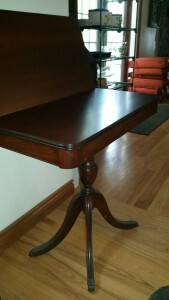 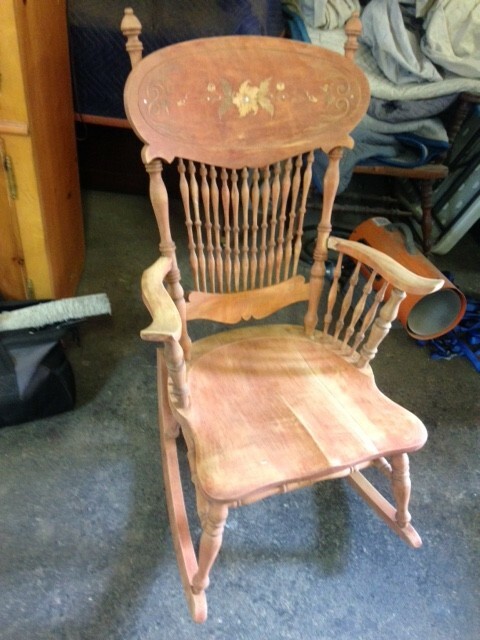 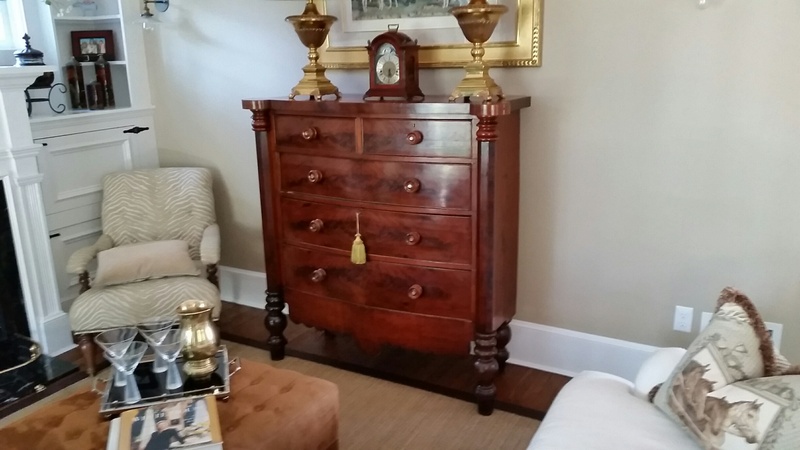 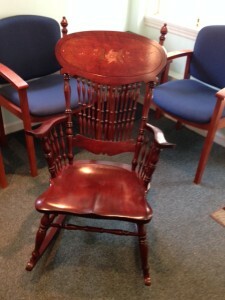 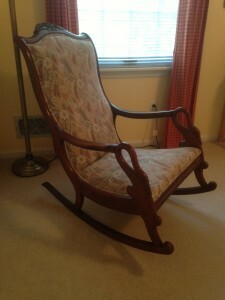 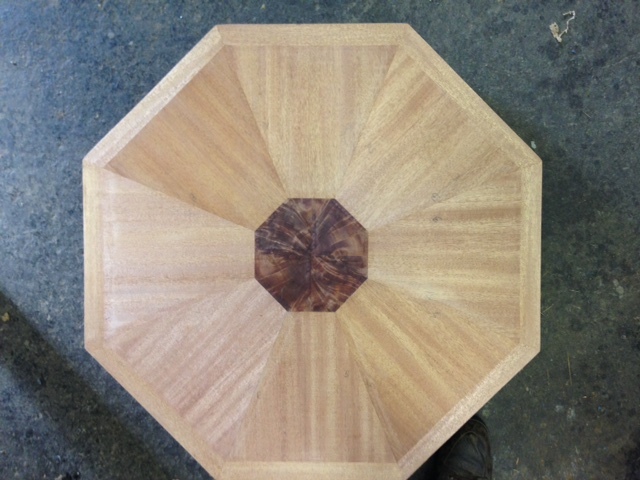 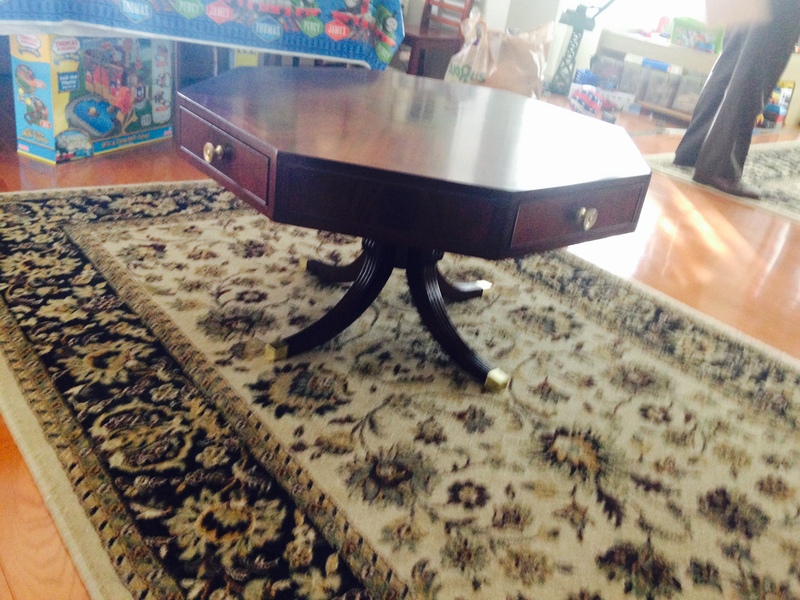 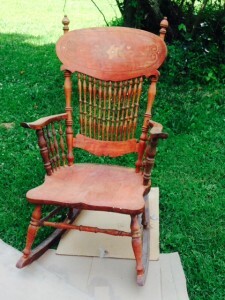 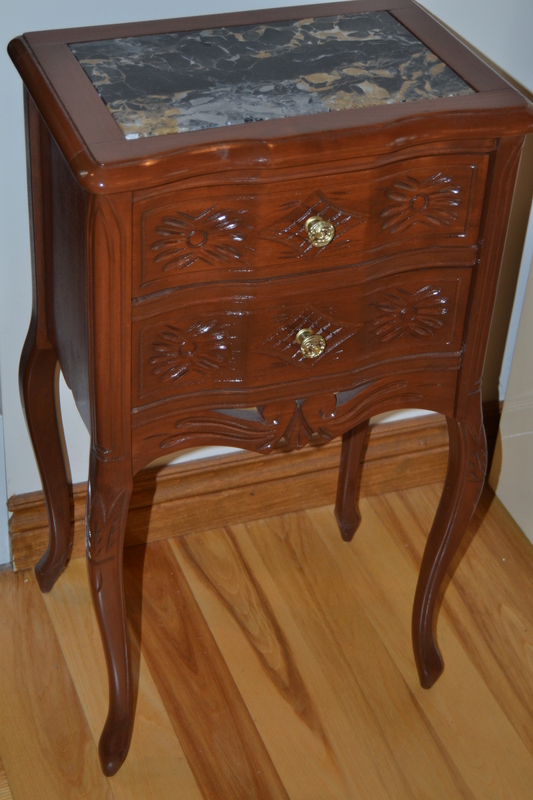 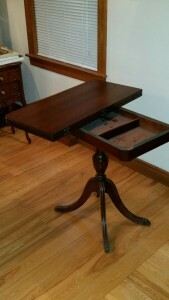 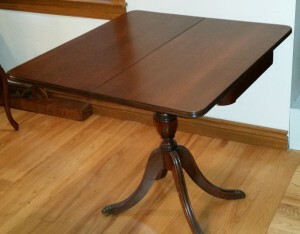 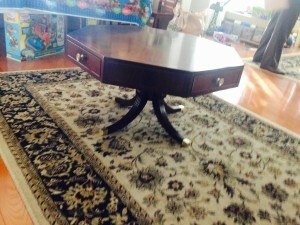 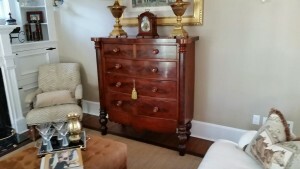 Cherry accent table with carved relief motif and black marble top insert circa 1920’s. 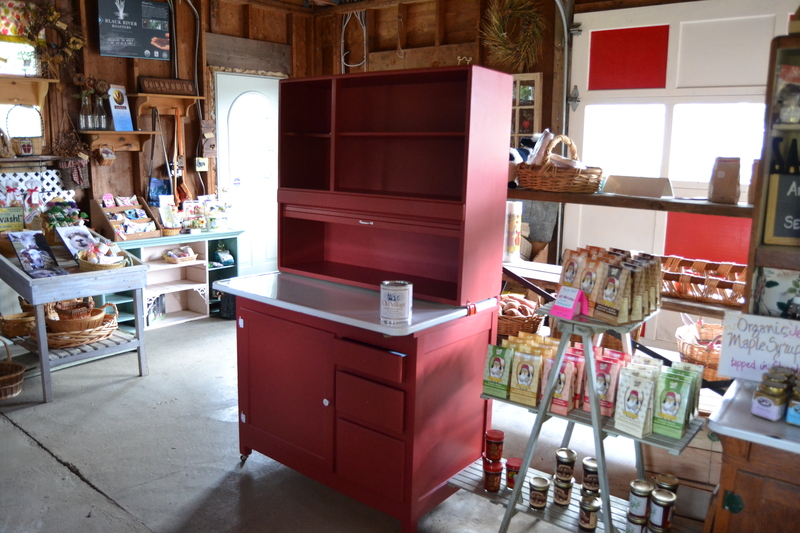 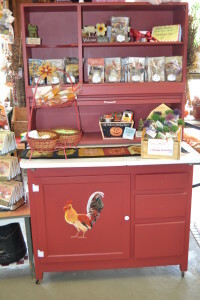 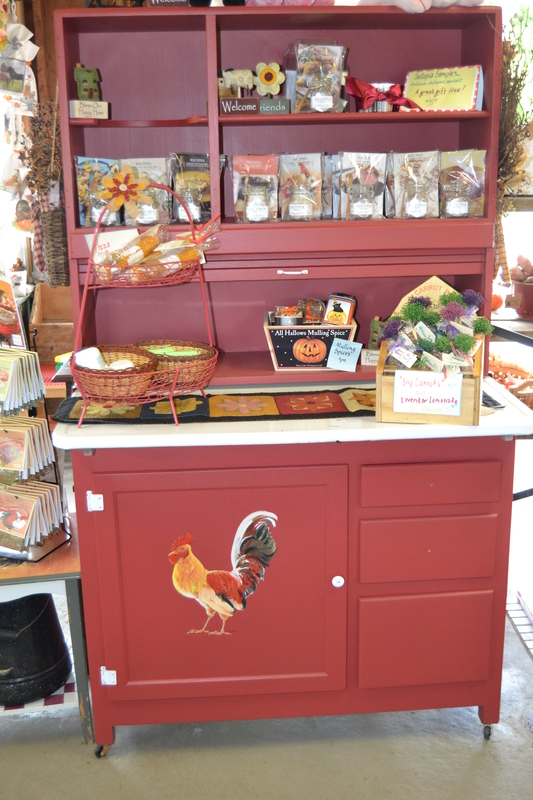 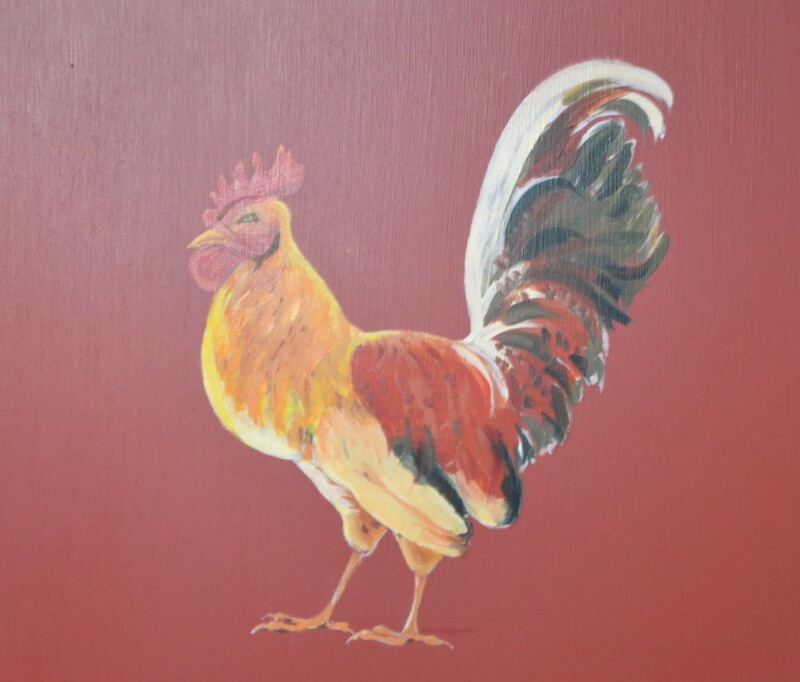 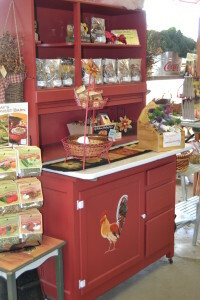 Hand painted rooster on restored Hoosier closet used as display case in farm store.